Some people (me included) tend to treat our Maltese dogs like human children. And why shouldn't we? They are always there to listen to us, be a shoulder to cry on, and give us completely unconditional love. Dogs are family and a very important and equal part (sometimes I don’t care if my husband is comfortable at night just as long as my Maltese Poodle Disco has enough room on the bed!). You think begging for table scraps is beneath your dog so you let your Maltese eat at the table with you. 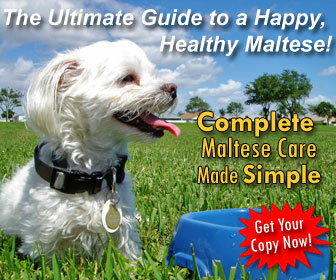 You take your Maltese to the supermarket and let him pick out his own dog food. You bought matching His and hers place mats for your Maltese and yourself. At dinner parties you always double check the butter for visible lick marks before putting it on the table. 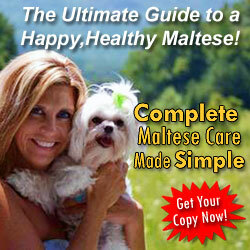 Your Maltese gets to vote on where to spend the next family vacation. You don’t care if you or your spouse is comfortable at night just as long as your Maltese has enough room on the bed. You complain about the rising cost of groceries but you don’t think twice about spending a fortune on doggie treats. Your Maltese always gets the best spot on the couch. 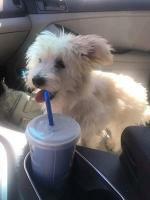 Your Maltese has his own Facebook page. So we've established that your Maltese helps your family make decisions on where to go on vacation, what to make for dinner, and even when to go to sleep? Did you know that there's a car company that understands that dogs are family and should always have a say in everything we do, including buying a car? It's Subaru! They even have a salesman (Grant Weber) who only sells cars to dogs.... REALLY! 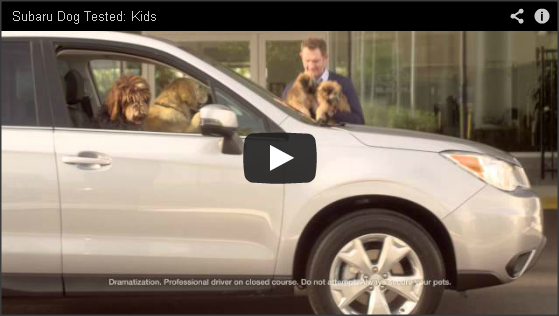 Check out this cute commercial* they did about choosing a family car and see how it's done. *WARNING: Although the puppies in this commercial are not Maltese, they are SUPER CUTE and may induce longings for more Maltese puppies. So watch out! 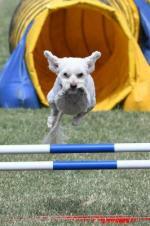 Ever wonder what your Maltese looks like driving? Wonder no more. I found a fun app that puts your dog behind the wheel of their dream car. 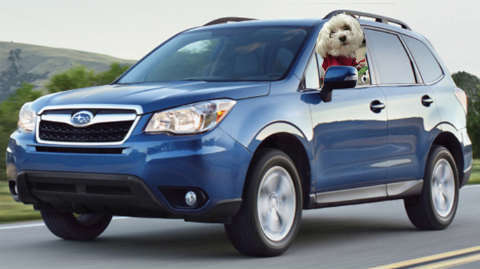 Here's Disco enjoying his new, blue Subaru Forester. What's your dog's dream car? Make yours with this cool app, then share it on the Maltese Maniac wall for everyone to see! How Do You Treat Your Dog Like Family? Scroll down this page to the comments below and tell other Maltese Maniacs how you spoil your Maltese dogs and treat them like family! This post is sponsored by Subaru. I am being compensated for helping spread the word about the Dog Tested. Dog Approved.™ campaign, but I’d only share news for things I support.